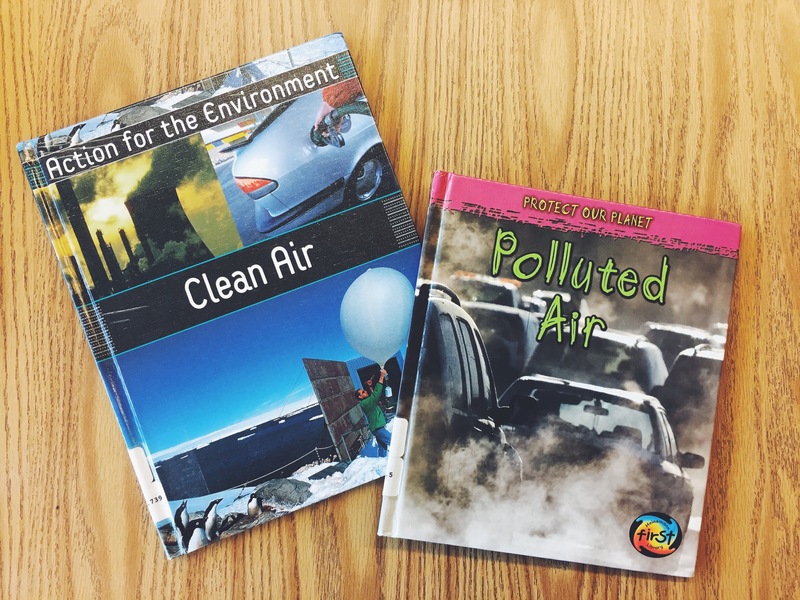 This book has been the most valuable tool for teaching about air pollution. It starts with the basics of what air is and why it’s important. Then it moves into what air pollution is and where it comes from. Many solutions are presented as well. I like that the headings are questions so I can pose the questions to the students before reading the answer to assess their prior knowledge. This book (and all of the books in the “Action for the Environment” series) are incredibly dense resources about key environmental issues and solutions to the problems. It is well organized, has great photographs, and many real life examples from history and current events.